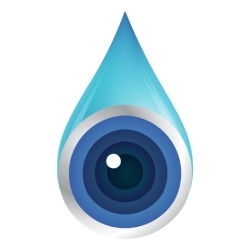 Los Angeles, CA, January 16, 2019 --(PR.com)-- OptiVisum LLC, a privately owned company headquartered in Los Angeles, California, USA, announced the release of OptiVisum drops for relieving the pain and irritation associated with dry eyes, restoring visual acuity, and improving retina condition. To the present moment, the product is available in Europe (Spain, Italy, Slovakia, Slovenia, Portugal, Hungary, and Greece), Asia (Vietnam, Philippines, Thailand, Indonesia, Taiwan and Malaysia), and Africa (Kenya). OptiVisum's herbal ingredients are proven to have a beneficial effect on vision and eye health. Product's full list of ingredients include Lutein and zeaxanthin (the only carotenoids, which are stored in the retina of the eye. They protect the lens from oxidation and help restore visual acuity), Anthocyanins from blueberry (normalize the fundus blood pressure and capillary blood circulation and strengthens the eye muscles), Linseed oil (eliminates dry eye syndrome and promotes natural moisturizing of the mucosa), Zinc (prevents the detachment of the retina, protects it against strain and natural damage), Vitamins A, C, P, B1, B2, B6 and omega-3. Vitamins A and C combined with the mineral zinc contain antioxidants that help prevent macular degeneration - condition in which the macula (part of the eye that controls central vision) deteriorates. All these components work synergistically to restore visual activity, improve retina condition, and relieve the pain and irritation associated with dry eye. The OptiVisum company has announced that the first 100 products in each country will be sold at discounted price.